Prof. Dr. med. dent. Head Division of Fixed Prosthodontics and Biomaterials at the University of Geneva. Irena Sailer received her dental education and Dr. med. dent. degree from the Faculty of Medicine, University of Tübingen, Germany in 1997/ 1998. In 2003 Dr. Sailer received an Assistant Professorship at the Clinic of Fixed and Removable Prosthodontics and Dental Material Sciences in Zurich. Since 2010 she is an Associate Professor at the same clinic. In 2007 Dr. Sailer was a Visiting Scholar at the Department of Biomaterials and Biomimetics, Dental College, New York University, USA. Additionally, since 2009 she holds an Adjunct Associate Professorship at the Department of Preventive and Restorative Sciences, Robert Schattner Center, School of Dental Medicine, University of Pennsylvania, Philadelphia, USA and is part of the EAO Board of Directors. 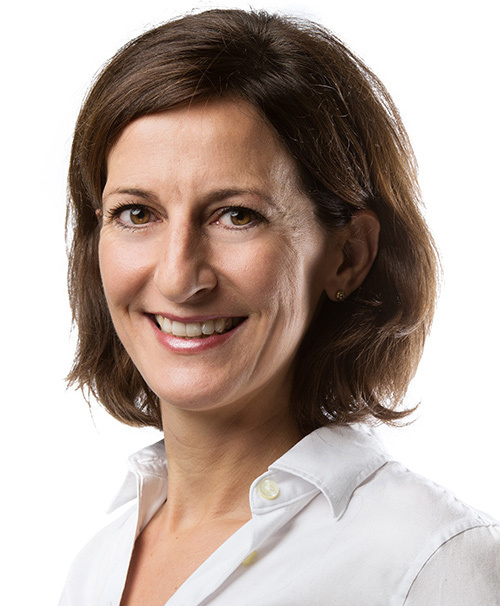 Irena Sailer is a Specialist for Prosthodontics (Swiss Society for Reconstructive Dentistry), and holds a specialization degree for Dental Implantology (WBA) of the Swiss Society for Dentistry.